A.J. 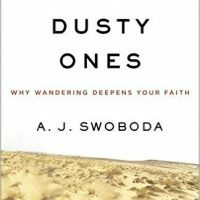 Swoboda’s latest book, The Dusty Ones, has a title evocative of a Clint Eastwood Spaghetti Western. 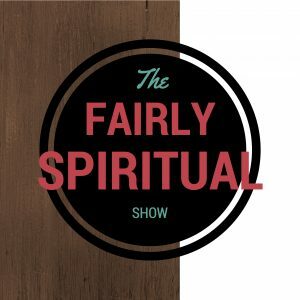 However, the actual content of The Dusty Ones deals with a different kind of grit, namely the interrelationship between wandering and spiritual maturity. For anyone caught somewhere between Egypt and the Promised Land it is a worthy read. Actually, it’s a good read for anyone living this side of heaven; especially for individuals who struggle with the tension between knowing, yet still having questions or seeking, yet not fully finding. The Dusty Ones deals with those of us who are pressing on to the Promised Land but still trying to find contentment in a frequently uncertain present. A word of warning. If you are a linear, sequential, love me a good outline, spiritual math kind of person, you’re going to struggle with the structure of this read. Even so, don’t give up; wander a little through the pages and the struggle is sure to both stretch and reward you. Trust me, there is plenty of manna on every page, even if you might not always know where A.J. is leading you. Though A.J. 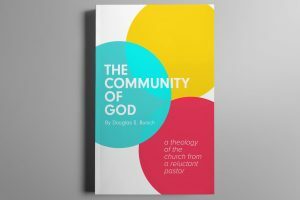 says the books is about wandering, I think it’s really about the aspects of our discipleship journey that are difficult to quantify, explain or even understand. Although from our own point of view or the point of view of others, it may look like we are wandering, from God’s perspective this is simply the path of discipleship. Time and time again, A.J. points out the wonderfully nuanced, mysterious and multifaceted ways humans grow in their relationship with God. Sometimes we find God in the dessert, sometimes in the silence, sometimes through want and sometimes through the ministry of others. In all these ways, discipleship is a process rooted in following and yielding to the relational work of the Holy Spirit. I find it difficult to fully articulate the primary focus of The Dusty Ones because it is not really geared towards one overarching point. Instead, it is full of many observations and insight concerning how what we might perceive as fruitless or unproductive wandering, might, in fact, be how God leads and disciples his children. I would say the best way to go about reading The Dusty Ones would be to approach each chapter as well as the entire book as a partial conversation. First, read A.J.’s words and let them wander off the page into your mind. Second, interact with those words based on your own experiences. Finally, let God move the conversation beyond the page into your own wandering as you head back out upon the trail and kick up some dust of your own. Don’t rush through it…just find a trail of thought that interests you and see where it leads. You will find a deeper understanding of Jesus in the process. 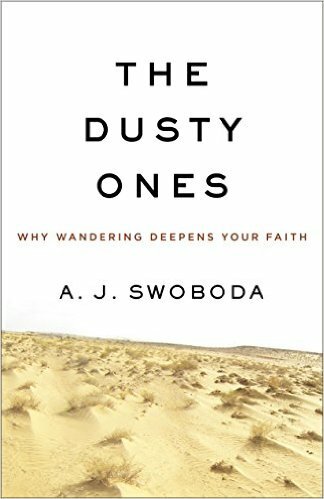 With pleasure, I recommend to all my fellow wanderers The Dusty Ones: Why Wandering Deepens Your Faith. Thanks for this review. I hadn’t heard of this book, but it sounds like a great one to read as I continue my training as a spiritual director, embark on developing a new ministry (The Pilgrimage, funnily enough), and continue to grow and form in my own relationship with God.